Spielberg crashed his toy trains. Michael Bay blew his toy trains up. Either way, people who grow up and become multi-million-dollar directors all started when they were just kids. I remember when I got my first camera: it was a Quasar VHS-C camcorder (placed in a Barbie camcorder box by my parents, who thought it was utterly hilarious). My first “film” was a stop-motion piece about G.I. Joes fighting a remote-controlled rat in our family kitchen. 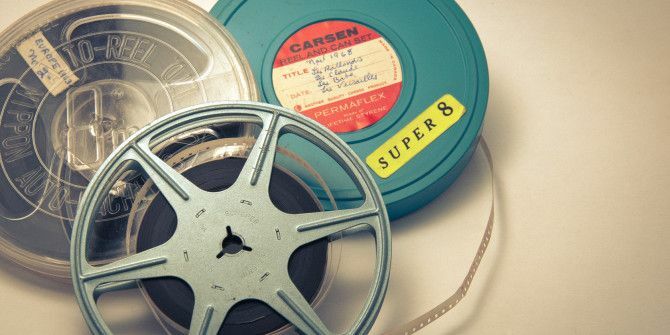 Had I access to a device that shot, edited, and distributed my mini-films… I would have been in heaven. Fortunately, such a device exists today: it’s your smartphone. Now whether or not you have chosen to give your child a smartphone, it’s possible to at least allow them access to it as a means for creative expression. Below are five ways to do just that! First thing’s first – if you want your kid to be legitimately involved with some kind of filmmaking, then you may want to invest in a tripod. Doesn’t necessarily have to be a tripod, though. While something like a Joby GorillaPod Video tripod with a GripTight Mount is nice to have (and the closest thing to a tripod you can get with a smartphone), simply propping the phone up on a table is totally fine. We even have an entire article devoted to making smartphone stands How To Make Your Own iPod/iPhone/Smartphone Stand How To Make Your Own iPod/iPhone/Smartphone Stand When you've spent quite a few bucks on your MP3 player or smartphone, the last thing you need is an overpriced accessory that you can easily make yourself. Plenty of individuals on the Internet have... Read More . The point is this: by getting your kid to try and stabilize their footage, they are already on their way to forming establishing composition. Does this mean you should get them involved in the “rule of thirds” and balance and all sorts of things that come with filmmaking? Nah. However, this provides a decent foundation for their future endeavors. Also, shaky footage kind of gets annoying! No actors around? LIES. Any action figure, toy car, or stuffed animal is an A-list thespian with all kinds of red carpet cred – of course, that’s only if you can get a little imaginative. Using stuff from the toy box is a fantastic way to get kids started with storytelling, and on top of that, it provides an early start for blocking actors and framing scenes. By encouraging the use of toys, your child can jump in without having to worry too much about anyone else’s critique or opinion. Yes, filmmaking is typically a group effort, but sometimes it’s nice to let the inner auteur take charge. However, as time goes on, your kid will probably want to bring in some friends. With parental permission, it’s pretty cool to see what kids can make when it comes to the film world. Who knows? A production company may very well start in your backyard given enough time. Let’s get a little more techie with this. Smartphones are essentially wizard devices, are they not? So of course, there are dozens of apps to help you with shooting, editing, and distribution of your video. 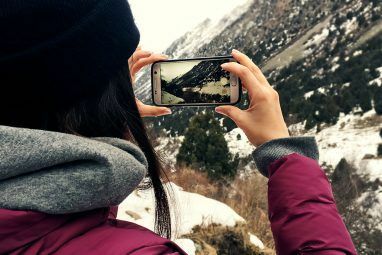 That said, if you’re shooting on an iPhone, staff writer Tim Brookes has written a nice piece that gives the details on FiLMiC Pro, almost DSLR, Movie Looks HD, SloPro, and iMovie Better iPhone Video: Shoot, Process & Edit Video Like A Pro With These Apps [iPhone] Better iPhone Video: Shoot, Process & Edit Video Like A Pro With These Apps [iPhone] Shooting a film on an iPhone might not seem like the smartest idea, but for many it’s a viable option for capturing decent HD quality video on the move. Monday’s Stuff to Watch featured a... Read More . Alternatively, if you’re on Android, there are a few other options: Viddy Viddy - Micro Video Blogging for iPhone Users Viddy - Micro Video Blogging for iPhone Users Many of you may remember the Twitter-style micro-video blogging site 12seconds.tv in which members posted 12-second videos of about whatever was going on in their life. 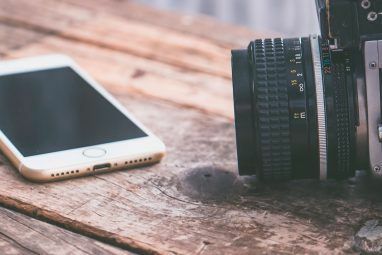 For some reason however, the site closed last October.... Read More is a couple that we have covered here on MakeUseOf (though our piece on Viddy comes from the iOS point of view). Either way you go, video editing is a great way to move from basic shooting to something a little more intricate. Of course, your little filmmaker may want to hop on the computer and edit like the big post houses do, and something like iMovie or Windows Movie Maker is going to be just fine. We’ve talked a bit about Vine Use Vine to Shoot and View Looping Videos on Your iPhone Use Vine to Shoot and View Looping Videos on Your iPhone Vine is a popular free app from Twitter that allows you to shoot and share seven-second looping videos online. Read More , and of course, Instagram has video now. However, both apps limit the time that one can be shoot: 6 and 15 seconds, respectively. While this may seem brutally limiting, it can also offer a creative challenge for young Tarantino. Feature films are even typically restricted to a certain amount of time, and there’s a reason that events like the 48 Hour Film Project exists. Your kid can try out cheap filmmaking techniques (like setting the camera up, filming a friend, stopping the camera, and making the friend walk out of frame – BOOM, they’ve disappeared!) On the other hand, they will be challenged to tell a story in a minimal time frame. Bear in mind that Vine and Instagram accounts are viewable by the public, so take this into the consideration. Last note: don’t let your kids shoot vertical video. There’s a reason we’re on the 16:9 standard (or 2:35:1 or 1:85:1 if you want to get technical) Hold the phone sideways! Not vertically. It just looks bad otherwise. So don’t let them do it. What other suggestions do you have for prepubescent smartphone filmmakers? Do you let your kid shoot video with your smartphone? Please share! Explore more about: Record Video, Smartphone Photography.